What's all this talk of SPLITs in PlayoutONE? What’s all this talk of SPLITs in PlayoutONE? June 2016 see’s a brand new feature in our music automation software PlayoutONE. It can now handle splits for remote and networked programming. If you’re familiar with splitting your programming across a network then you’ll know what we mean. However if you’ve never heard of splits before then let me explain. Imagine you have your main studio in, say, London. You also have some regional studio’s. They are dotted around the country and they would like to take a programme coming from your London studio – but they have different commercials to play and local sweepers and jingles. If they just took the main feed from London they would get London’s adverts etc. PlayoutONE can now send easily send commands to the regional stations running PlayoutONE and instruct it when to play it’s local audio. All you do back in London is run silence for the duration and your local audio will be played in this gap. This opens up all sorts of possibilities and not only saves you money but helps generate more revenue. One presenter, more commercial income spread across the regions. Commands are sent in time with the audio feed too so data is never missed and you don’t need to start opening up firewalls and ports and setting up local port forwarding or anything like that – it’s all part of the stream and it’s always at the right millisecond. 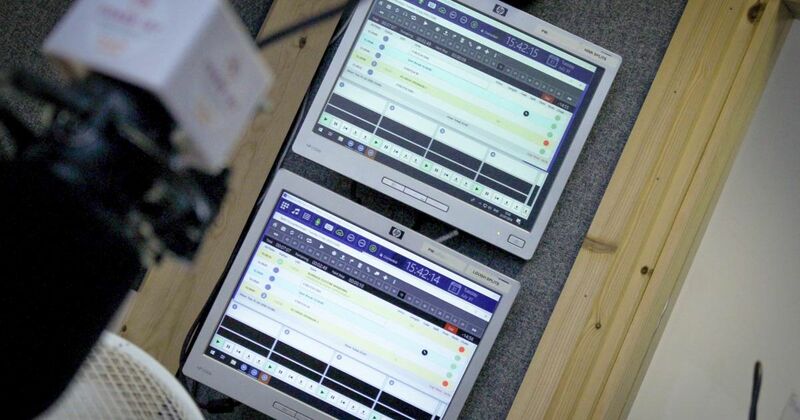 It’s not just radio stations that can benefit from this extremely powerful feature, retail outlets can too and also smaller regional stations that are on FM but would like to simulcast to DAB but have differing production. Oh – and did I mention, PlayoutONE is a buyout and is only £99 per license with email support and upgrades included for life. It’s also worth mentioning that DARP NG can also send split data and commands to remote instances of PlayoutONE and you can work this all locally too using command files rather than streamed data. If you would like to know more about PlayoutONE then get in touch with us.